Macpi philosophy has been always centred around the Customer and consequently around the efficiency of after-sales service. Macpi has always distinguished itself for the continous co-operation with the final user; a constant collaboration which has given the right starting point for every day study and design of new products. With this premise in mind Macpi spa Pressing Division has made several investments in the creation of permanent establishments based directly on site in order to follow in the best way the needs and the problems of the customers. Maintenance and service have been the key components afforded to the success of Macpi spa Pressing Division, actually the main target has always been the quality of the service offered to the customers which means assisting them at all levels, especially after a sale; from the training of personell through to the structure and spare parts facilities. 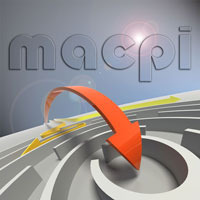 Macpi philosophy throughout these years of dedication to its customers has permitted the MACPI name to expand worldwide into a leading position now and the foreseeable future.